Edward Ernest Hemmings (known as Eddie) (born 20 February 1949, in Leamington Spa, Warwickshire) is a former English cricketer, who played in sixteen Tests and thirty three ODIs for England from 1982 to 1991. He made his England debut relatively late in his career, at the age of 33, having predominantly represented Nottinghamshire in the County Championship. His chance came when several England players announced their intention to go on a rebel cricket tour to South Africa. Originally operating as a seam bowler for Warwickshire, Hemmings changed to bowling off-spin for Nottinghamshire, which led to Test match appearances from the age of 33. England test teams have always tended to contain at least one spinner, usually an off spinner since Ray Illingworth's appointment as captain in 1969. Illingworth was himself an off spinner. When Illingworth was sacked, Tony Greig briefly filled this role until he was removed in 1977. 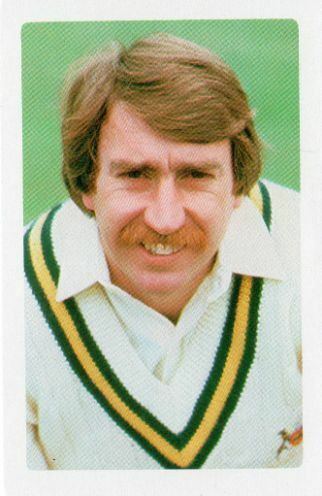 For a brief time, the baton was handed to Geoff Miller and then John Emburey filled the role from his debut in 1978 largely uncontested until 1982 when Emburey was banned for joining the South African Breweries tour. This put Hemmings into contention for the off spinner's spot with Vic Marks in 1982. Both toured Australia but Hemmings was the main spinner on that tour. A change in policy saw the spin department filled by left armers such as Phil Edmonds and Nick Cook in 1983. For the arrival of the West Indies in 1984, Pat Pocock was preferred as the England off spinner. 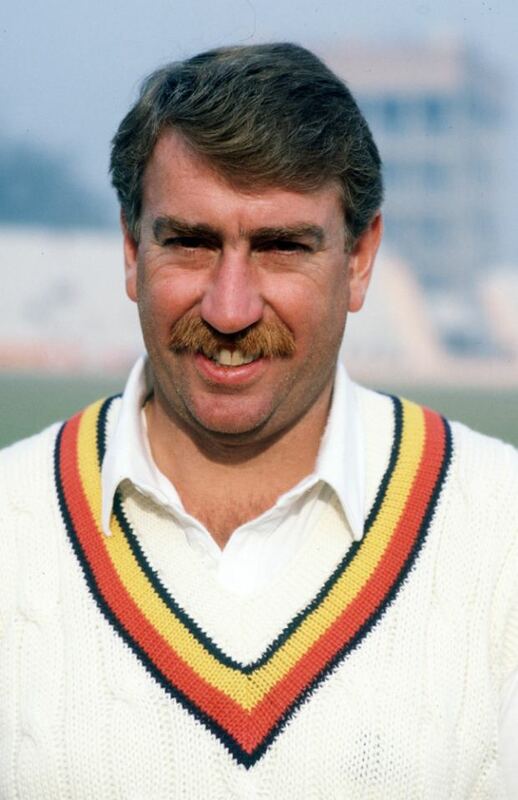 With Emburey's ban lifted in 1985, Hemmings was again forced onto the sidelines in the test arena. By 1987 Emburey was not taking as many wickets as expected and, while he kept his place in the team as a masterly containing bowler, Hemmings began to press Emburey for his place in the World Cup in 1987 being instrumental in the win against the West Indies at Jaipur during that tournament. With Emburey again choosing the South African rebel tour over the Caribbean tour in 1989–90, Hemmings (at age 40) made his final swansong. Part of Graham Gooch's touring squad, Hemmings played in one day internationals only – often being the most economical bowler. 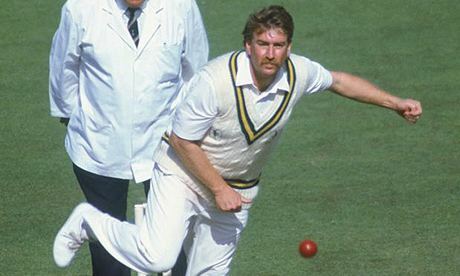 Hemmings was England's first choice off spinner throughout 1990 as the hot weather demanded England adjust their policy of 4 fast bowlers – which had largely worked during the Caribbean tour. During the first test against India at Lord's in 1990, Hemmings was famously hit for four consecutive sixes by Kapil Dev from the last four balls of his over. This 24 was the exact amount required for India to avoid the follow on – they were nine wickets down at the time and Kapil Dev did not want to expose Narendra Hirwani to Angus Fraser's next over. A wise move this as it turned out as Fraser had Hirwani lbw first ball! Hemmings toured Australia with the full England side in 1990–91 at the age of 41 – playing in one test match at Sydney and again featuring as a containing bowler in most of the one day games. England did not make the finals of the World Series Cup. Hemmings last played for England during the short one day international series in New Zealand which followed the Ashes tour. He hit his highest Test score of 95 as a nightwatchman, and made his second half century (51) against India during a last wicket stand with Devon Malcolm. All in all, Hemmings was probably the second best off spinner in England from around 1982–1991 and was largely unfortunate that his best years coincided with John Emburey's. There were other contenders for the one place in the England team during the same time such as Geoff Miller, Vic Marks and Pat Pocock. However broadly speaking England selectors preferred their off spinners to be able to bat which explains why Geoff Miller was often selected. Hemmings was a useful batsman, twice frustrating the Australian test attack of 1989 at Trent Bridge to such an extent that there was a small on field altercation with Australian fast bowler Geoff Lawson just before tea on day 4 of that match – Hemmings having hit Lawson for several fours in a completely lost cause – the game was well and truly lost by this point. In county cricket, requiring four runs off the last ball of the Benson & Hedges Cup final in 1989, Hemmings struck a boundary off John Lever of Essex to ensure victory for Nottinghamshire. Soon after this win he was reinstated in the England side for the 5th Ashes Test match of the same year, thanks in part to the fact that several players had just announced their decision to go on a rebel tour to South Africa, including off-spinner John Emburey. Hemmings took no wickets but scored more than 30 in both innings. Hemmings toured Australia in 1990/91, where he played his last Test. Before retiring from first-class cricket at the age of 46, he also played for Sussex. In an interview in 2006, it was revealed he now runs a village shop in North Lincolnshire. His niece, Beth Morgan, is a current England women's Test cricketer.